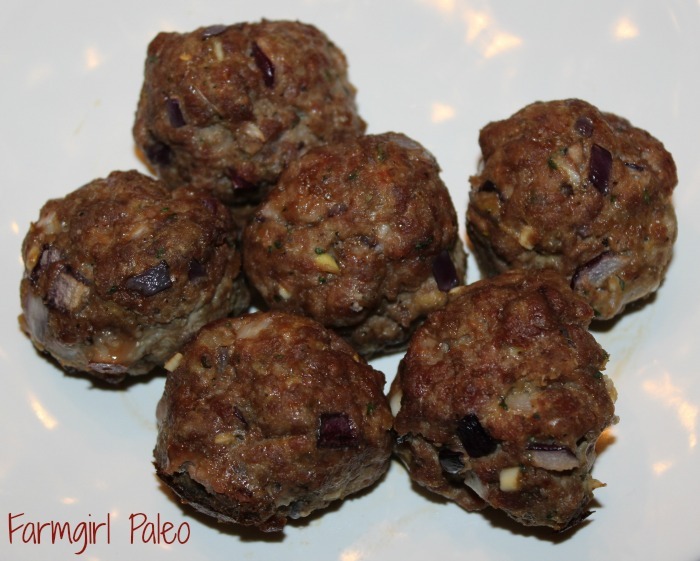 Paleo Italian Meatballs are great with your favorite spaghetti or marinara sauce and served over spaghetti sauce or zucchini or squash noodles. They are also a perfect snack to take to a pot-luck in a slow cooker. In large bowl, mix all ingredients. Shape mixture into 20-24 (1 ½-inch) meatballs. 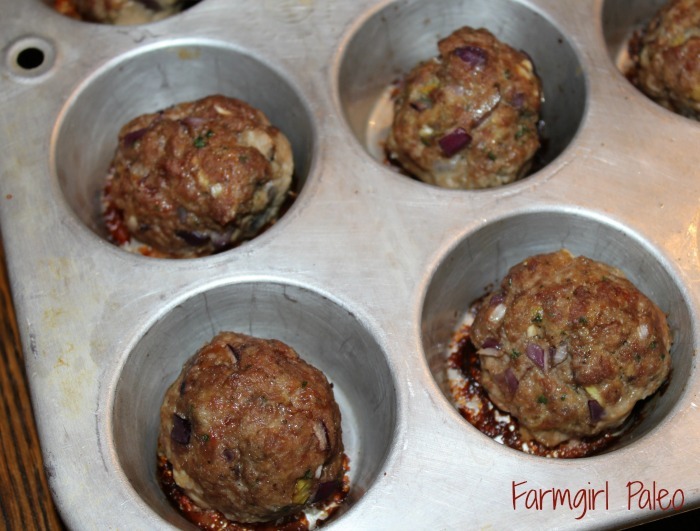 Place one meatball into each cup of a muffin pan. 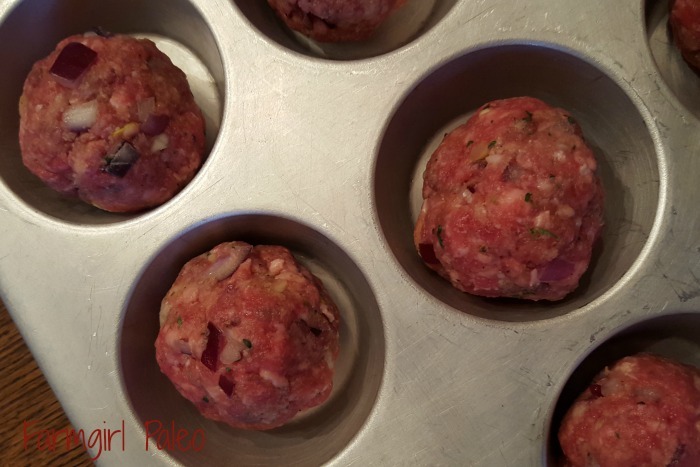 Bake uncovered 20 to 25 minutes or until no longer pink in center and internal temperature reaches 170° F.
Enjoy plain or top with your favorite Paleo-approved marinara or spaghetti sauce.